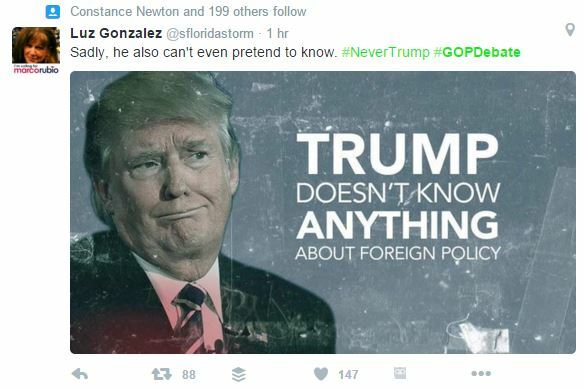 Donald Trump does not run his campaign based on his policies. The same way Apple does not sell computers. During his speech, he hardly talks about foreign policy or any other policy for that matter. That’s what Mitt Romney pointed out in his vicious attack on Trump on March 3rd. Romney might as well have spoken about the three little pigs – Trump’s supporters do not care. They believe in what he believes. They believe in the ‘why’. The reason why he is running is to make America great again. He is tired of politicians doing nothing and that is exactly the sentiment among his supporters. Lesson: Stop selling what you do, or make. Instead, start selling why you do it. Your customer is king, right? The best brands out there go to extreme lengths in order to understand what it is their customers want exactly. Today we have so many listening tools and we spend large amounts of money researching what it is our target audience wants to hear. We create our marketing content based on that. We make sure that our brand’s tone of voice matches the audience we are talking to. Trump appeals to people because his communication style matches the sentiment of his audience. All his supporters believe that he “tells it like it is,” something that voters have always wanted from politicians who usually emphasize deliberate, practiced deliveries of tested methods. These practiced deliveries are the equivalent of a marketer using business jargon to attract customers. Lesson: It’s not about you; it’s about your customers. Give them what they want! For many years, the Republicans campaigned relentlessly against Obama with below-the-belt tactics. They implied that he was a Muslim who was soft on terrorism. They also pointed out that he was born outside of America and that he encouraged illegal immigration. It was racist and xenophobic, without actually using racist and xenophobic words. Their efforts gave birth to a monster. Masses of hate-filled and angry people started showing up all over the country. The Republicans had done their job too well and it was about to turn around and bite them. Donald Trump, a shrewd and unethical businessman clearly understood that he could upend the Republican party by playing their game, and bettering it. He rode the Republican wave to the maximum, and verbalized what they could not. He became the bigot and fascist that mainstream Republicans could not, and managed to get America voting for him. Lesson: Find out where the opportunities are and pounce on them. Whether we like it or not, Trump has used his business experience to K.O his Republican opponents. You do not have to be like him to learn from his campaign marketing strategies. You do not even have to be a businessman or marketer. When it comes to life and success, some things always work. I’m not voting for Trump, but this is a great article. Hilariously true. This seems like encouragement to pander to ignorance. I realize you say “you don’t have to be like Trump to learn from…” him, but it does seem you are encouraging people to simply appeal to people’s fears and frustrations, even if you don’t have a plan for solving those fears and frustrations. And the “stop selling what you do and instead sell why you do it” seems to capitalize on the fact that you don’t really need to DO anything, you just need to tell people you are doing it FOR them or WITH them. I do think that Trump’s success speaks to the American people’s lack of interest in REAL solutions to any of their problems and a simple attraction to those who are on “their” side. I’m just afraid that by encouraging this strategy rather than questioning the reception of it is doing our country a disservice. Look at it like extracting venom from a snake to produce medicine. Not selling your product does not literally mean not selling a product or solution. It only means that you talk first about why you are in the business so that your audience can connect to you. Thank you very much for reading and your excellent comment. Agree. How to be a “winner” like Trump is a study in narcissism.